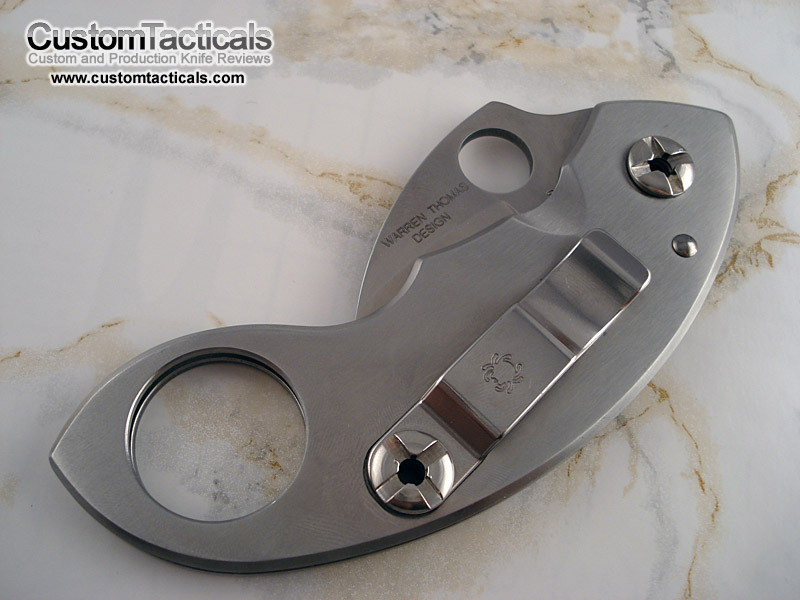 This Warren Thomas designed Karambit was one of the first affordable, well-designed Karambits available on the market. Until the Spyderco, the only ones available were high-end customs, fairly pricey Emersons, or junk Karambits from M-Tech. Due to my smaller hands, I find that the Spyderco Karambit is a bit thick/bit for my grip. 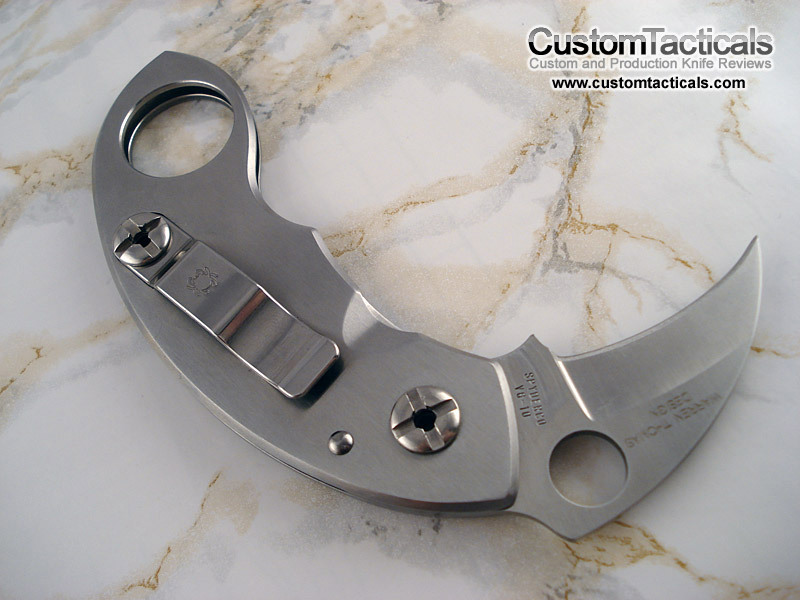 I have also noticed this with all Warren Thomas karambit designs. The edge came hair-popping sharp from Spyderco, and because of that vicious looking point, I did not want to play around with spinning it, lest I spin the pointy edge right into my wrist, which was bound to happen. I played around a bit with it, mimicking what I thought were self-defense style moves in Karambit-style knife fighting. The knife felt good, but I could never really tell you if it is any good for that kind of thing, however I can say that the knife is really well made and has great toughness in it’s full stainless steel design. Lock is a framelock with a very resounding ‘thunk’ when the lock is engaged, giving the user a very distinct sense of security when the knife is opened and locked. Blade steel is the workhorse VG-10 that Spyderco uses liberally thoughout it’s product line. 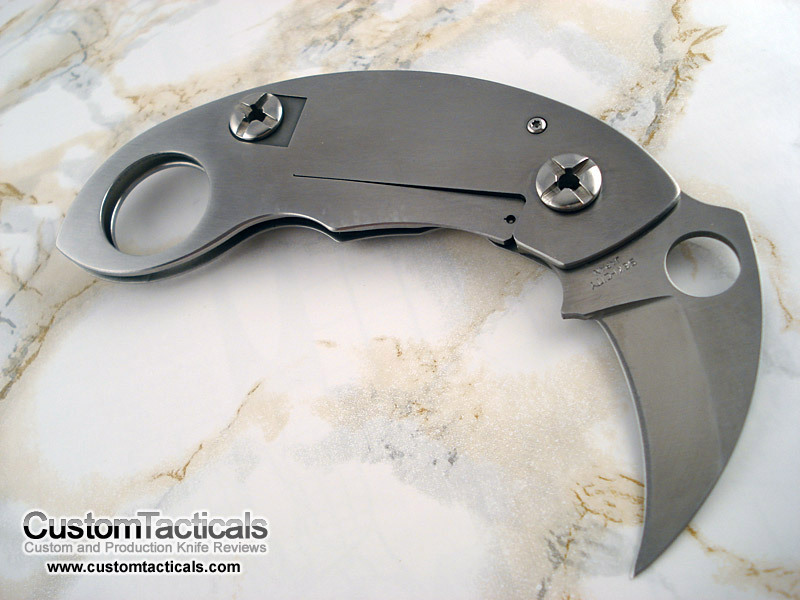 The Karambit has now been discontinued by Spyderco, but continues to be a popular knife. It is one of their Seki-City made knives. wow VG-10. I LIKE THIS STEEL, EVEN THOUGH I DONT HAVE ANY, I HEARD IT HAS A WICKEDLY SHARP EDGE. I LIKE THAT CURVED BLADE ALOT AND ON YOUTUBE I SAW A GUY SLICE OPEN A WATER BOTTLE WIYHOUT ANY PROBLEM.